No, this isn’t a mock up – you can actually buy this stick-on scratch set for your iPad. 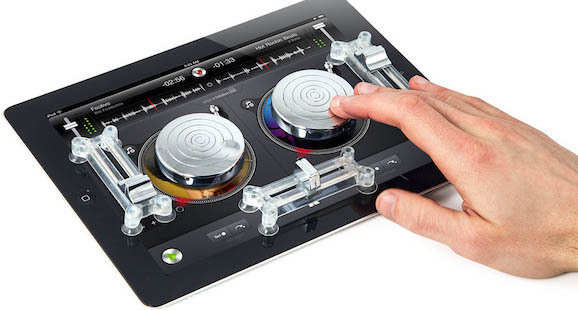 And while I wouldn’t recommend it as a serious options for digital scratch DJs, it does work! As many of you will unfortunately be only too aware, there’s a whole army of haters out there, continually bashing digital DJs and controllerists because they don’t use vinyl or didn’t “come from” vinyl. And nowhere is this more true than among a certain section of scratch DJs. As a scratch DJ myself since the late 1980s, I’ve never understood this. I earned my stripes in the vinyl days, and yeah it was cool – but you want to know something? It wasn’t cool because we used vinyl, it was cool in spite of the fact we had to use vinyl! We had no choice other than to deal with ridiculous prices, warping, jumping, hissy sound, the weight, the size, the excess luggage costs, the risk of damage or loss. If it could have been as simple as digital “back in the day”, would we have wanted it? I would have – in a heartbeat. Just recently house legend MK laid into “DJs who’ve been playing 20 years who look down on anything else but vinyl”, in a promo video for Native Instruments. It’s what we at DDJT have always believed: that far from holding you back as a DJ, digital can make it all more exciting, interesting, creative and fun for you. Actually, that’s correct to a certain extent, but not for the reasons the purists believe. When you scratch on a controller the sound doesn’t jump and, assuming your track sounds clean to begin with, there are no hisses or crackles. 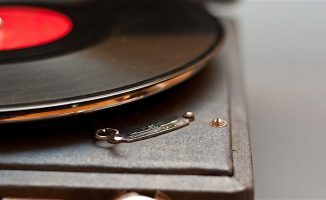 The sound you are scratching will not degrade in quality the more you scratch with it, and you don’t get any bass rumble or feedback through the system (all these issues are common with vinyl). Digital latency can be an issue when you are using a controller that was not designed to be integrated with a particular software application, but if you’re using a controller / software combination that was designed to play nicely together, chances are this simply won’t be an issue for you. This myth applies to DJing overall, that you won’t be a “good DJ” if you only have entry-level gear. The manufacturers are clearly not going to do anything to talk you out of this mindset, hoping you will continually upgrade in the quest to be taken more seriously. 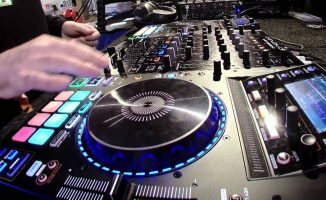 I have found some of the best controllers for scratching to be some of the least expensive, the Mixtrack Pro 2 comes to mind as does the Denon DJ MC2000 with its small jogwheels. Beatjuggling is tricky, whether it’s on vinyl or not, it takes incredible coordination, rhythm and practice. When DJs beat juggle on vinyl, they use marks on the record labels to be able to give themselves a visual cue of the position of the record. And those records are constantly spinning. In general this is not available to controller DJs, it’s replicated on some DJ controllers, like the LED lights on Vestax VCI-380 and the spinning platters on the Numark NS7II, but is not the norm, and is mostly only available on more expensive units. The extent to which you are “performing” depends entirely on you… it doesn’t matter what set-up you’re using. One of the best party-rocking performance DJs out there is DJ Angelo, and as part of his role of brand ambassador for Reloop he puts together mind-blowing routines using controllers that showcase not only his own abilities, but the capability of the gear too. So what about DVS (digital vinyl system)? This is vinyl, right? Well yes, but with some significant differences that only digital can bring. Most of the top-flight scratch DJs use this system by default now, and why? Because they only need carry maximum of four records (one timecode vinyl for each deck, and maybe two spares), and if they get scratched, warped, broken or stolen, they are easily replaced while the music collection is not compromised in any way (always back up your music!) DVS even deals with jumping needles – the needle can be jumping all over the place but the audio stays solidly locked in the groove, opening the artform up to faster and faster techniques. Another reason DVS is so widely used is it means the DJ can continue to use the medium he or she learned on. Think about it, if you drive an automatic car all your life, you can’t just jump into a stick shift manual car and expect to nail it straight away. DVS is “digital in the comfort zone” for scratch DJs, but as DJ Angelo (who also uses DVS) proved earlier, the skills are totally transferrable to controllers. For those DJs that want to be vinyl-only, who love vinyl and all its history… If it feels more “real” to you, that’s cool, follow your heart and spread a positive message about the thing you’re passionate about. If people concentrated more on loving what they do, and less on hating what others do, then a common respect among DJs would exist that’s sadly sometimes lacking. And if you want to learn to scratch, but can only get your hands on a $50 controller and intro software, get started today… you have no excuse not to, especially now you know there’s nothing stopping you other that your own fears and the attitudes of a small number of “vinyl snobs” who will probably always be there. Why let such things hold you back? No, You Don't Need To Learn On Vinyl To Be A "Real DJ"
err yeah I want to learn to sratch so baaadllly, when the DDJT Scratch Class for contoller open please??? Check out dj Angelo scratch tutorials on youtube. It’s working really well for me. Thanks. I will definitely check that out. I keep my eyes wide open then, thank you Steve! Hi nice article. I have used all formats over the last twenty years but I’m now yearning to use vinyl once again alongside DVS and digital in my setup. I like the “feel” of it, the sound of it, and also believe my mixing is much, much better using vinyl but hey- the keyword is scratch. I’m no scratch DJ myself so the issue is irrelevant to me. That’s cool Ash, if you love vinyl then go for it! The point here is just because you believe in one way of doing it, don’t dismiss other people who maybe believe in a different way. This is not just scratching, but all DJing. Dude, you are showing controller usage examples of guys who aquired their skills nowhere else than on turntables. And this article show digital DJ’ing and scratching like ’tis no big deal. It’s freaking hard to learn to scratch on a controller, and even harder on a cheap one… I started on a VCI-300 but, despite it’s nice responses etc etc, I moved to vinyl’s and DVS pretty quickly. That’s totally true. So we set out to teach people to scratch using ONLY controllers. Over 1200 students have been through our Scratching For Controller DJs training, the overwhelming percentage of whom has never touched vinyl. That’s the real story here – and why we’re confident that with or without vinyl/turntables, scratching has a great future. I agree, it’s all great fun to play with – I like DJing and mixing on anything I can! I’m totally on the side that vinyl isn’t everything…even though I started on it. however, when teaching ppl how to scratch, it’s hard to get people to understand the concept from a point of view you never experienced. The idea of knowing the motion of rotation is helped better by learning on vinyl first. I’m not saying you have to start on vinyl to learn how to scratch, all I am saying I’ve had more results from people who learned on vinyl first, when it comes to scratching. Thanks for sharing, that sounds understandable. For me though, there is no reason to teach the concept of motion of rotation to a DJ on a controller who has never touched vinyl, because that motion doesn’t exist on a controller (except a Numark NS7). That’s not true though, the virtual rotation is still based on the idea that something is rotating at 33 RPM. I spin on CDJs, but being able to understand the rotation speed is key in scratching. I’m not saying someone cannot learn with vinyl. But I have yet to meet person trying to learn how to scratch and is able to judge speed and distance on a jog wheel alone. All I am saying is, learning on vinyl is a bit of a short cut to understand virtual rotation. As cool as Dj WreckDown’s video was, that’s not beat juggling. He was just triggering cue points , aka Pressing buttons. Not the same as Beat Juggling. lol! But there’s no ‘performance’ there… and that’s what the essence of scratching is. I started on a controller before making the switch to dvs and I can say it’s more enjoyable in my opinion. DVS for me is where serious takers should be looking into. Fair enough, like we say, be positive about what you love! I’ve used Vinyl and cds for a very long time. I just recently bought a DDJ SR so I can use it for mobile gigs. Carrying 2 turntables and one mixer inside heavy flight cases really hurts my back. I am still able to scratch and do tricks on the DDJ SR because of all the time I put in practicing on turntables. When I have a club gig, I always look forward to using their Technics and DJM 800/900 mixers. Love the mixtrack pro vid.. Outstanding article. It’s always amazing to me that most DJs use new tools to look backward (to perform “tricks” that older tools do well, i.e. 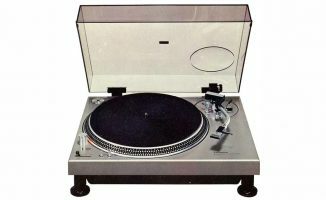 turntablism) rather than developing new techniques that would make the older skills irrelevant. ha ha good one KLH! I’m not much more than a novice when it comes to scratching but I started on CDJs so when I moved to a controller I wanted to use something I was familiar with. I bought a Vestax VCI-380 because I was used to the LED movement. If I had learnt on vinyl, I imagine I’d want to have used something like an NS7/V7 or DVS to replicate what I was used to. I do sometimes wonder whether it’s worth picking up a vinyl turntable as well, so it’s reassuring to hear that it probably isn’t really necessary. Oh well … you could always get a pair of SC3900s hooked up to your favorite software :-). Great article Steve, the biggest jump for DJs who have been used to vinyl and going to digital is the non-motorised platters. It takes a little getting used to, but the benefit is that the track can playback immediately, no reliance on torque of the platter. That said, a few controllers do have motorised platters – most recently the Numark NS7 II. I tend to hedge my bets – with a vinyl only setup, a DVS setup via SD card & a pair of Technics SLDZ1200s or an iOS setup with a Numark iDJPro! Not much space, but all good fun. Thanks Hombre hope you’re well man! Yep… go for it Ari! Yep, go for it Ari! If you can’t afford a controller, scratching is possible with a mouse and a keyboard. http://youtu.be/1UuQo_53h6I as seen here. Some fair points there thanks for contributing! I couldn’t have said that better myself! I grew up on vinyl and learned to scratch on vinyl as well but I have respect for any DJ whether they use vinyl or a controller. It just comes down to performance. Just because a DJ uses vinyl doesn’t automatically makes him/her a good DJ. A “GREAT” DJ brings a great performance on whatever tool they use. I have switched from vinyl to a controller (NS7II) and I still have the same fun. Thank you & sorry but how do you mean? I have a question: I have a Vestax VCI-300MkII and this weekend I was recording a mix and I noticed that when I was transitioning from 1 song to another & scratching the volume on the track I was playing would lower it self. then once I mixed in the other track, it would level it self out. I gues what I’m triying to say is when the 2 tracks were beingng mixed in, the volume would go low. what am I doing wrong? i’m with you i’ve been djing since 1983 but when i dj now with my numark mix deck, certain people give me dirty looks. they don’t know my past but judge me now. i djed on belt-drive turntables, technics 1200s, cds and now my controller. people need to get over it and move on, it’s not going anywhere. Thanks guys for remembering there are more then just EDM DJ out here. Great article. To make my MIxtrack and now my Mixtrack II look more impressive. I got a flight case. It made it so heavy, and cost more the the controller. But I dont get funny looks anymore. If you want to hear a real heavy weight turntable wizard the look no further than http://www.djwelly.net. His built from scratch sessions are outstanding truly outstanding. 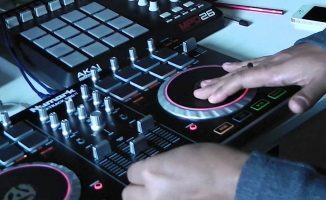 Nice article, that DJ Angelo video was/is some great inspiration, and he’s proof that you can most certainly “perform” and scratch on a controller, or DVS, or whatever you prefer. Thanks for bringing him in on the scratching course, can’t wait to see what he brought to the table, even though I’m nowhere near ready for those lessons just yet. Keep shining people…..
How can i organize my pioneer dj ergo for scratching?? I m french,so excuse my english.thanks a lot for your answer!! !